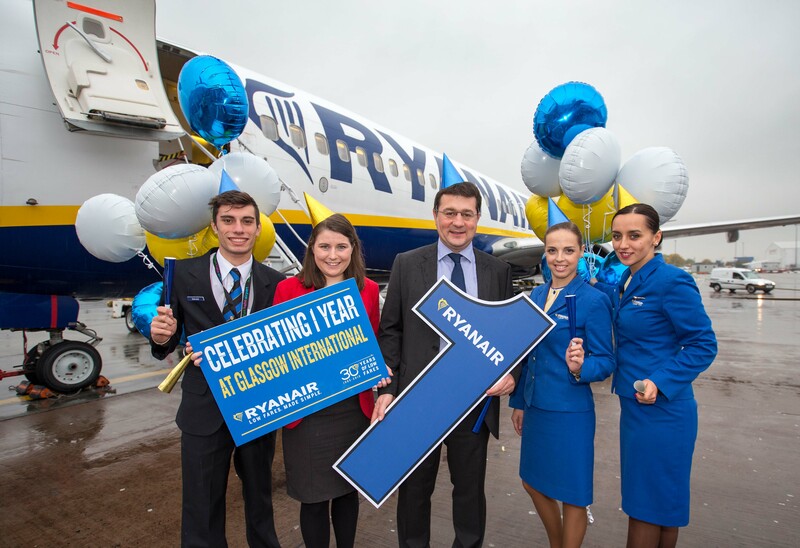 Ryanair, Europe’s favourite low fares airline, has celebrated its first year of operations at Glasgow Airport and launched its new route to Berlin, which will operate 4 times weekly, as part of its winter and summer schedules. Scottish consumers and visitors can choose from Ryanair’s 10 low fare Glasgow Airport routes next summer and can look forward to further improvements, as Ryanair continues its “Always Getting Better” programme, which includes new bases, a new personalised website, new app, new cabin interiors, new crew uniforms and improved inflight menus. “We are pleased to celebrate our first flight to Berlin, which will operate 4 times weekly for both the winter and summer schedules. We are also celebrating one year of low fares at Glasgow Airport to top European destinations such as Carcassonne, Riga and Warsaw. “Scottish consumers and visitors can look forward to further improvements in the coming months, including our ground breaking personalised website, with exciting new digital features such as ‘hold the fare’ and real customer destination reviews, and improved menus, new cabin crew uniforms and new cabin interiors on board, with more to come in Year 3, as we continue to offer so much more than just lowest fares. 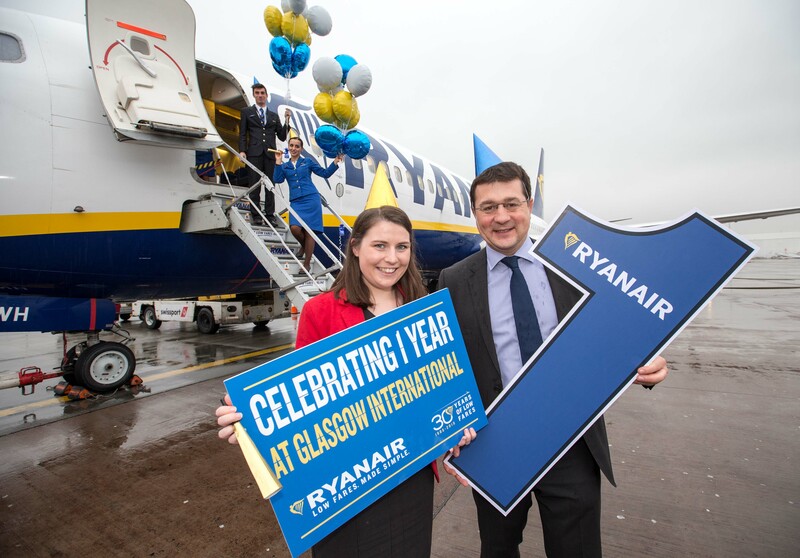 “It is a real pleasure to be celebrating Ryanair’s first anniversary at Glasgow Airport. The airline has gone from strength-to-strength over the past 12 months, and the fact it started with seven routes and has grown to 10, adding additional capacity on a number of its services, demonstrates the airline’s ambitious plans for growth. “Ryanair’s first service to Berlin is already proving incredibly popular with customers. The German capital offers the perfect city break destination as it is full of historical, cultural and culinary opportunities for leisure travellers. The fact that the city’s restaurants boast 19 Michelin stars among them makes Berlin officially one of the best places to eat on the planet.